Alert Barking - Stop Barking Dog! - Woof! 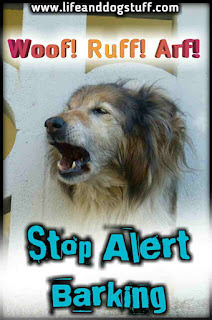 Home » Dogs » Alert Barking - Stop Barking Dog! - Woof! Woof! Woof! Hello, you guys! Today we have a special discussion about alert barking on the blog. Us doggies have an obligation to protect our humans and warn them against intruders and...stuff. Barking dog sounds can be very annoying though. Some dogs go overboard and take it way too seriously. Not everything is bark-worthy. The best way to stop dog barking is to nip it in the bud before it gets out of hand. 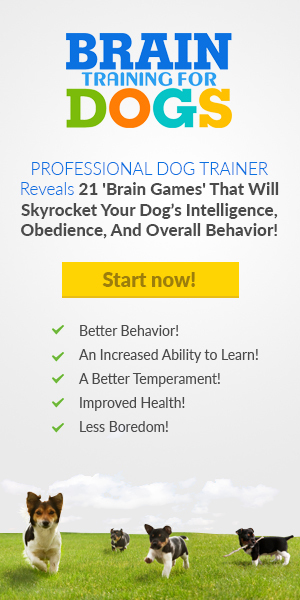 Dogs love repetition! As alpha dog around here, it's my duty to stop any excessive barking and other weird sounds coming from the pack. Buffy: Woof! Hello Fluff...and uhm Snowy. Fluffy: Why are you saying hello? We live together! Buffy: Watch the name calling old man! Grrr! Buffy: Anyway...today I want to talk about the unnecessary alert barking going on at our house. You two are the main culprits. Snowy: Why are you pointing paws at me? Look over there at the crazy one. Fluffy: Grrr! Who are you calling crazy Snowy? I'm just warning everyone. That's what us doggies do right? Buffy: Only when visitors come Fluff. Not when the wind is blowing. Fluffy: But the wind is noisy too Buff and it can blow mommy away. Snowy: If you did your guarding job properly and not sleep all day, maybe Fluffy would not have to try solo guarding. Snowy: We all know she's very immature and has loads to learn still. Stop licking meee!!! Buffy: Fluffy focus! It's winter and I've neglected some of my morning guarding duties because I want to sleep late. I apologize. Fluffy is an early riser and I thought I trained her enough to take over my morning shift. Snowy: Obviously not! She's a loose cannon. The three noisy dogs next door with their million puppies are quieter than us. Buffy: Oh you admit you're noisy too! Snowy: Only when you're snoring at night! Buffy: Stop stoking on fights Fluff! Snowy: You yell too much Cloudy! Buffy: Guys, we need to start behaving better. Mommy does not like it. Fluffy: Mommy is teaching me the "quiet" command Buff. She also comes to check why I'm barking and lets me know she has been warned so that I can stop. Sometimes she plays fetch with me to help me burn off energy. I'm starting to get an idea of what type of barking is acceptable. I'm still convinced the wind is evil though! Buffy: That's good Fluff. Just remember the wind might get you if you don't stop harassing it. Hair and wind are arch-enemies. We are 80% hair so it will always mess with us. Btw, your 6am howling needs to be worked on too. Snowy: Yes! I'm still sleeping that time. It's super annoying! Fluffy: But I'm singing with the man down the street and helping him wake up the neighborhood. They should thank me for waking them up! You howl with sometimes Snowy. Stop playing innocent! Buffy: No, the man needs no help singing Fluff. Yes, you have a nice howl but no one wants to hear it that early. Fluffy: Fine Buff! I'll try to tone it down. It's really hard because I'm channeling my inner wolf. Buffy: Just do it quieter Fluff...and you Snowy, I'm watching you. Don't act all innocent. Buffy: I heard you howling with! Besides that, you're always marking my territory! Everything smells like you. I was here first. It's disrespectful! Snowy: I'm just making myself at home. You need to work on your sharing issues. Buffy: Nope! I'm in charge and I'll never share anything with you. Grrr! Snowy: Is this meeting over yet? I still need to go water that spot you slept on earlier. 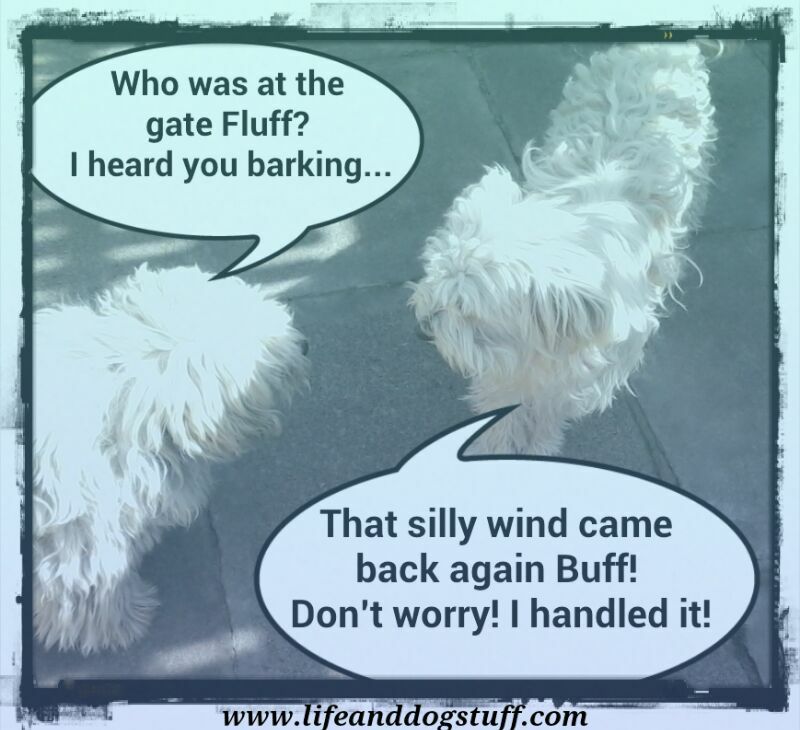 Fluffy: Yes Buff! I have a list of puppy work to finish today. That hole is not going to dig itself. Buffy: Fine! I'm ending off now. Thank you for attending. Hopefully, we'll be quieter going forward. Mommy is counting on us. Time to go now, you guys. Thank you for dropping by today. As you can see we have a long way to go moving forward. Wish us luck! Its obvious Fluff is not ready for solo guarding yet, so I'll have to try getting up earlier. When I'm up she takes my lead and there are less barking sounds coming from our house. She's the worst guard dog ever! Don't even let me start with that Snowy. I think I'll go sleep on his bed later. It's twice as big as mine with no patches. My bed is full of patches from mommy's sewing after we...after Fluffy made it explode a few dozen times. 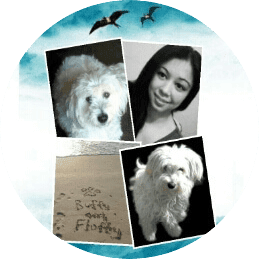 Never miss a blog post by Joining the fluffy pack for updates you guys. 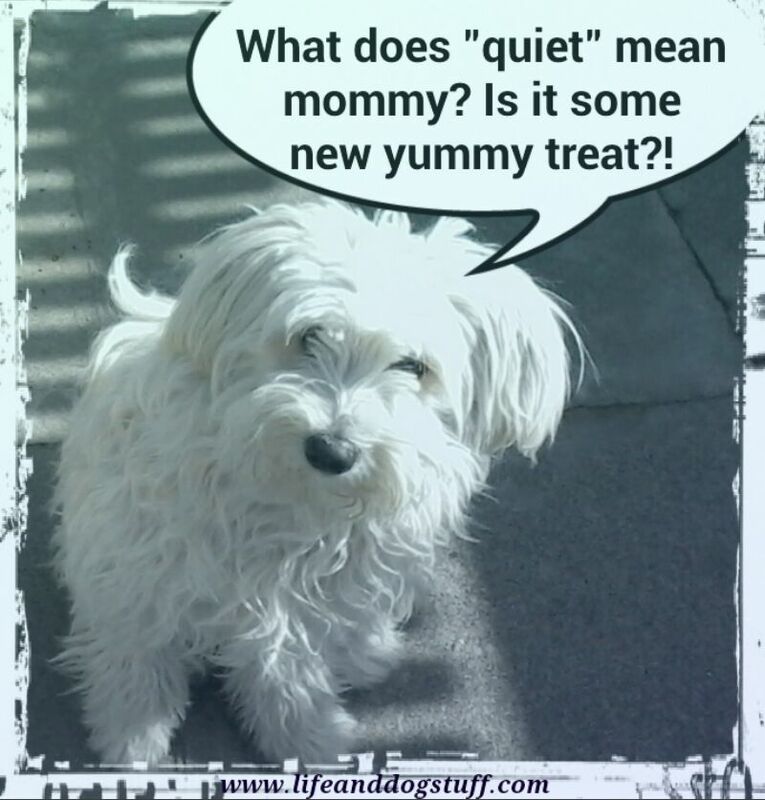 Please share if you think your friends will enjoy reading my Alert barking - Stop Barking Dog! - Woof! Woof! Ruff! Arf! post. Thank you! Woof! It looks as though they have it covered. Hi Tim! I hope they have sorted it out. Fluff is crazy unpredictable. She might decide to stop following Buffy's lead. Luckily he still has alpha control over her. For now! Lol! My dogs sit by the front door and bark at anyone who walks by our house. They have different barks - so I know when it's the UPS man vs friends or family! Comes in handy! I have huskies. Two things I got them for is that they are big but don't drool a lot and don't bark a lot. they do talk a lot, but barking is not a issue with them. too many dogs around my 'hood that do. Thanks for sharing this. Hope all is well in your world. Hi Brent! You're lucky your dogs don't make a lot of noise. The 3 dogs next door will be moving soon so it will be quieter. Snowy is going home next month also. I'll probably miss all the barking lol.